These high quality LED Tail Light clusters are styles to look like the Later R3 style tail lights. However unlike the R3 Lights these are designed to fit the Series 1 RX-8 chassis without need for modification. 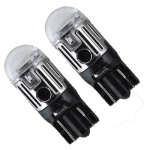 Made to a high OEM Quality These units are a direct fit and feature ultra bright high intensity LED's for superior visibility over the standard bulbs found in the series 1 light clusters. These units are a full conversion and require no modification or transfer of parts from your existing lights. Simple to install, Just unbolt your original units and then bolt these in to place, no hassle and no fuss. These Units come with the clear lens for superior visibility even during the day. Usually in stock but please check prior to ordering if you need these urgently. 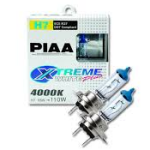 These bulbs will provide a brilliant Xtreme cool white light that will light up road hazards and street signs long before a normal halogen bulb. 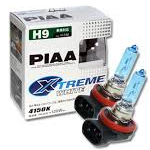 Xtreme White Plus bulbs achieve something few other high-performance bulbs can - and that’s deliver a stunning performance whilst complying with European regulations. Surprisingly only drawing 65/55 watts power, the bulbs convert the output of light to an equivalent of 110/100 watts, appearing far brighter than standard Halogen or Xenon units by emitting a crisp, blue-white, far-reaching beam. 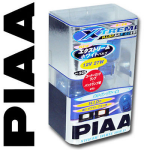 PIAA's Extreme White T20 bulbs use the standard power however they output light equivalent to a much more powerful bulb. 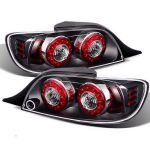 This bulb set will fit the following arras of your Mazda RX-8. Brilliant in colour and radical in technical performance, these bulbs elevate your car's road profile to a new level no matter what you drive. 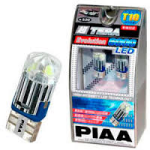 PIAA leads the market with LED Bulbs that provide extremely low power consumption and very long life. Standard bulb fittings for easy installation and up to 6 LEDs per bulb for High Intensity. These LED units use a 1Watt LED putting out 85Lumins of crisp white light. Please note these are not road legal, and are intended for off road and show use only. This Harness has been designed for use when installing our LED Rear Light Clusters in conjunction with installing our LED Third Brake Light. Without this Harness your dash will throw a warning light. Designed for easy installation and placement, Our aim was to make installation simple and affordable. Designed and made in house here at Essex Rotary HQ. This item is essential if your planning to run a full rear LED conversion. This Unit is designed primarily for the RX-8 however it should work on other vehicle applications. Simply fix the ring terminal down to a ground location. Stick the resistor unit down to a metal surface using the adhesive backing. Then crimp the other end of the harness on to the live wire (using the included Scotch Lock) for the Brake light bulb. Finally secure the harness wire to the vehicle or existing wiring harness using the included cable ties. 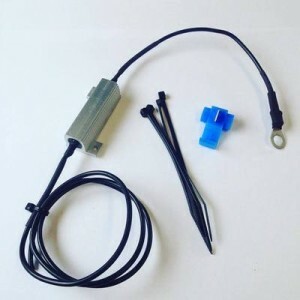 Please note if your using our LED lights you will only need one of these harnesses, However if you plan on installing LED Indicator bulbs you may need additional harnesses depending on the LED bulbs you choose in order for the flasher function to work correctly.